Payments will be processed directly by Authorize.net (US dollar transactions) using Secure Socket Layer (SSL) technology. Car Parts PDX Inc. does not store in any way your credit card details. If unsuccessful, you will be advised that your payment has failed. Car Parts PDX Inc. will not be advised why a payment has failed; therefore, you should contact your credit card provider for details. If your payment fails, please use one of the other payment methods described on your invoice to pay your invoice. Please arrange an alternative payment method promptly to ensure continuous use of Car Parts PDX Inc. services and Internet resources. 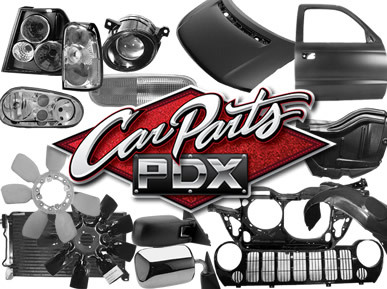 Car Parts PDX Inc. will confirm your payment details via email. By using Car Parts PDX Inc.’s online credit card facilities you accept and consent to your personal data being provided to the Service Provider for sole purpose of offering and administering the online payment. We respect the privacy of every individual who visits our site. The Car Parts PDX Inc. websites have security measures in place to protect the loss, misuse and alteration of the information under our control. Car Parts PDX Inc.’s Terms and Conditions for online credit card payments are subject to change at any time. Each transaction shall be subject to the specific Terms and Conditions that were in place at the time of the transaction. If you have any questions or concerns, please contact support by email at customerservice@carpartspdx.com or telephone at (503) 445-6333. Important security note: Never transmit credit card information by e-mail.edit card facilities are subject to the following conditions.